Just what you've been waiting for, the 2017 Apprenticeship Awards Nomination Forms hot off the press. 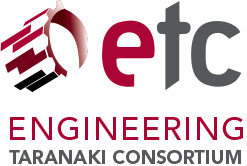 Email AppAwards@engineeringtaranaki.co.nz to ensure you keep your nomination form for 2017. The 2017 platinum sponsor Todd Energy have been a sponsor partner of the Apprenticeship Awards in the past. Todd Energy recognizes the value of investing in the talent of any workforce, both existing and emerging. Celebrating individuals personel growth, development and achievements alongside all sponsors at this year's Apprenticeship Awards.